Nuoro is the main city of the Sardinian Region of the Barbagia area and it is located on a plateau dominated by Mount Ortobene; rich of woods it is considered one of the environment lungs of the Mediterranean. The first human settlements are of the pre-nuragic and the nuragic ages, evidenced by archeological traces found in the area, such as: the "Domus de janas" of the III Millennium b.C., the nuraghe "Noddule", from the nuraghe "Tanca manna" and the settlement built around it, approximate 800 huts which in some the original clay and cork pavements have been preserved. Conquered by the Romans, there are statements in which the magistrate Azio Balbo had to stipulate an accord of non belligerence to avoid the continuous revolts of the local people. The modern features of Nuoro cohabit with the signs of its antique origins. The city is divided in two main districts: Suena and San Pietro. The first, originally the district of the peasants, has not many traces of the past: The main center of Suena preserves an old church "delle grazie" of the '500 and a new one built in the 70's of the last century, lies between the two most important streets of the district, via La Marmora and Corso Garibaldi. The other district of San Pietro is where the shepherds lived and here the writer Grazia Deledda was born. Built in a simple way, the Gothic-Catalan style Church of the Madonna delle Grazie features a main portal with two side columns surmounted by a lintel and a wonderful rose window, that for the local traditions was taken from the church of San Giuliano Martire ('300). Inside the refurbishments, completed in 1982 brought back their original splendour some wonderful tempera frescos. 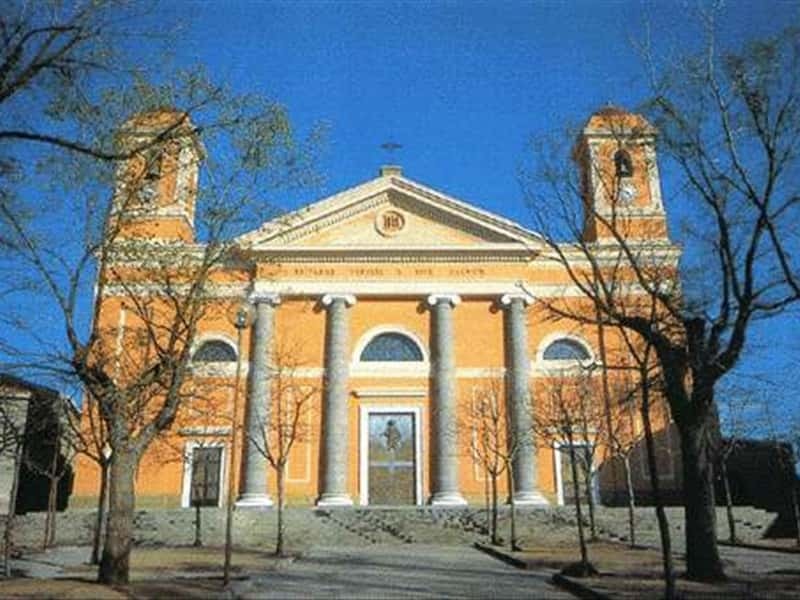 The Cathedral of Santa Maria della Neve, built between 1836 and 1854 in Neoclassic style, offers a strong scenographic impact: the façade proposes four monumental columns in granite with Ionic capitals which support a triangular shape covering piece, typical of the Palladian buildings, important to the architect Antonio Cano. Inside, some important masterpieces are preserved such as the Via Crucis painted by Carmelo Floris and Giovanni Ciusa Romagna. The Church della Solitudine was built based on the project of Giovanni Ciusa Romagna between 1947 and 1954, on the ruins of a church of '600, which was really appreciated by the writer Grazia Deledda and is also her burial tomb since 1959. Piazza Sebastino Satta, renovated by Costantino Nivola in 1967, features the contrast between the sculptures in granite and the previous architectonic artworks, mainly of the '700 and '800 and it is also the birthplace of the poetess. The buildings have been repainted of white, the roads tiled with large blocks of granite and in many corners bronze statues have been placed which represent moments of the life of the poetess. This town web page has been visited 25,621 times.